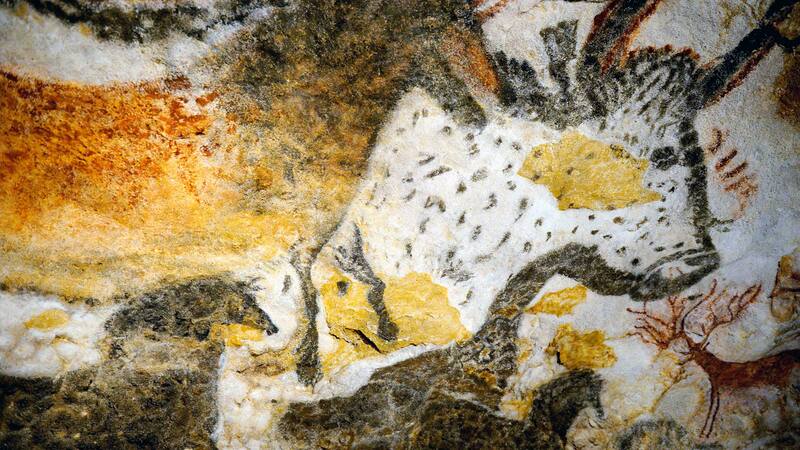 The cave of Lascaux is one of the most important caves decorated with the Palaeolithic by the number and the esthetic quality of its works. Tourtoirac is a charming little village situated on the border of the Auvézère River at 110m high. You can find a grocery shop, a baker, a restaurant-café, a filling-station and a post-office. Payzac and his old forges of Savignac and the Papeteries de Vaux, classified "Monument Historique"
... to quote only few of them. Lascaux ( rupestral caves ) in Montignac : 30 kms - "Patrimoine Mondial de l'Humanité"
Les Eyzies de Tayac (discovery of the Man of Cro-Magnon - High place of Prehistoiry, the site of Les Eyzies de Tayac is inhabited since the Paleolitic) : 35 kms - "Patrimoine Mondial de l'Humanité"